Why Are So Many Men Trying to Get on This Lesbian Dating Site? 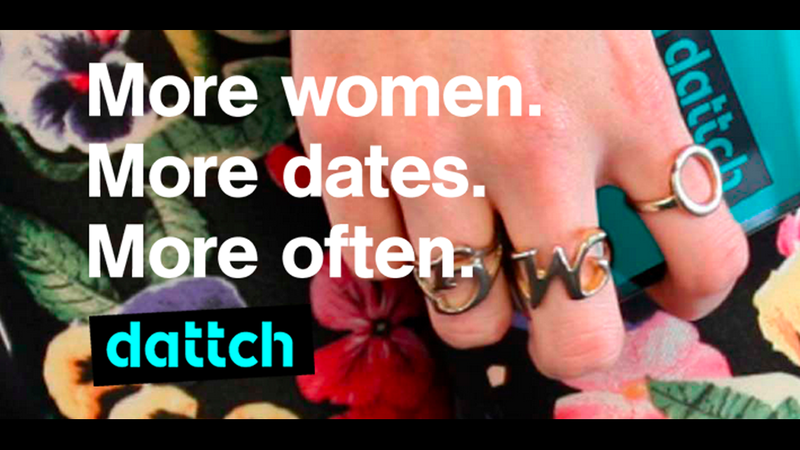 Dattch, a dating app for lesbians, is currently in invite-only beta testing in London. According to founder Robyn Exton, more lesbians use dating apps than straight women, simply because it's harder to meet other gay women. Some critics have told her that lesbians won't use the app — but she's hearing that mainly from guys who don't understand the gay female market. And, so far, women are signing up. But, bizarrely, so are men. Yes, there's a hefty chunk of dudes who are trying to create profiles on the app. Er, OK.
"When we started it, there was the problem of helping women find other women they fancy or could go on a date with, but the biggest problem was the number of guys who create profiles on lesbian sites," Exton explained. "They are full of fake profiles and no one's taking the time to go in and make sure it is a genuine profile. A lot of the previous lesbian sites were just add-ons". Exton says men attempt to register daily, even going so far as to create Facebook profiles for fake ladies to "prove" they're real. Even though they're not. She's currently manually approving each person, and says it's a common issue. If you don't live in a bubble on Mars, you know that many straight men enjoy browsing photos of lesbians for purposes of getting off. However, what's confusing here is that some men are going so far as to create elaborate fake identities just so they can get an into a lesbian dating app. Dudes, who do you think you're tricking here? You do know that when you show up for the date, the gig is up, right?